New Hampshire owes more than it owns. 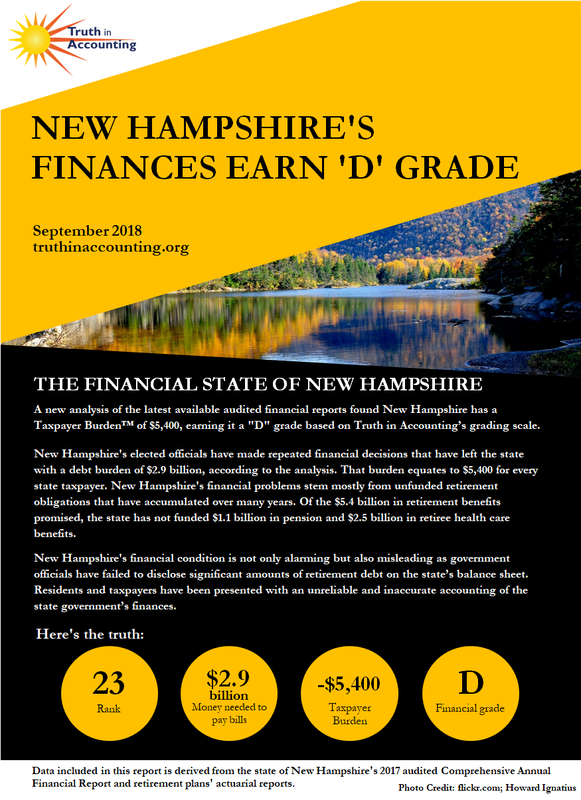 New Hampshire is a Sinkhole State without enough assets to cover its debt. 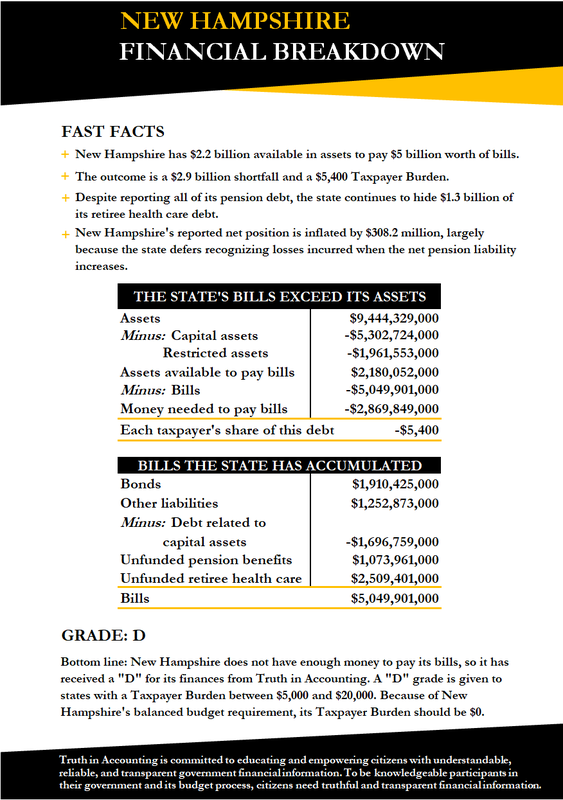 New Hampshire only has $2.2 billion of assets available to pay bills totaling $5 billion. Because New Hampshire doesn't have enough money to pay its bills, it has a $2.9 billion financial hole. 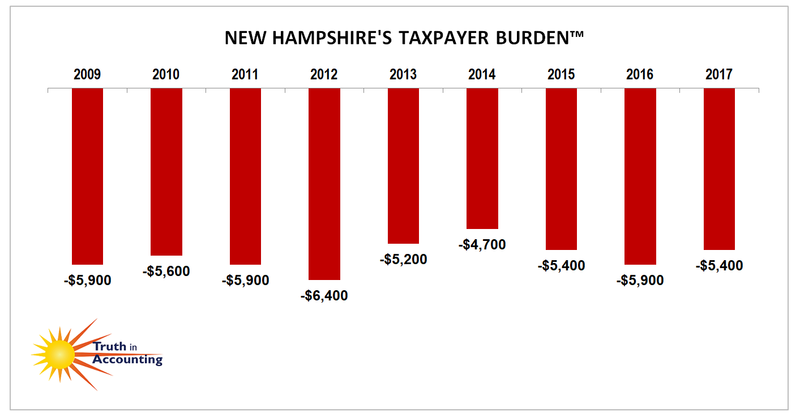 To fill it, each New Hampshire taxpayer would have to send $5,400 to the state. New Hampshire's reported net position is inflated by $308.2 million, largely because the state defers recognizing losses incurred when the net pension liability increases. The state is still hiding $1.3 billion of its retiree health care debt. A new accounting standard will be implemented in the 2018 fiscal year which will require states to report this debt on the balance sheet. For a century and a half in New Hampshire, citizens could sue their state if they believed its actions were illegal or unconstitutional -- regardless of whether it violated their personal rights. Then, in 2014, the state Supreme Court ended that right.